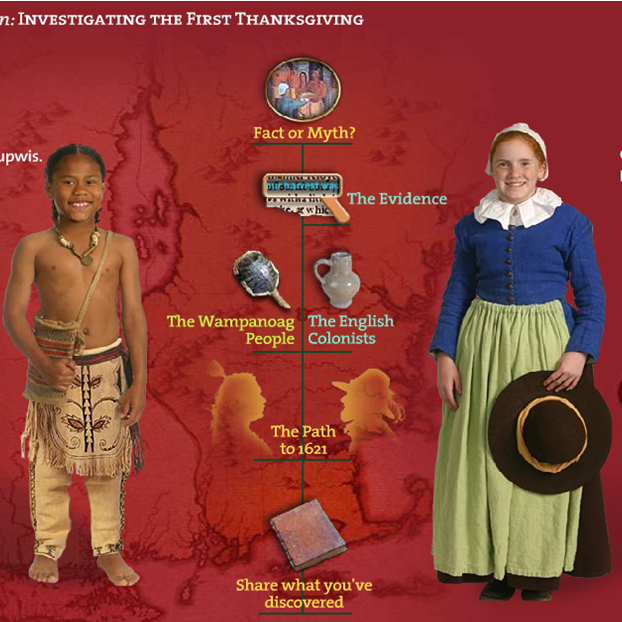 With Plimoth Plantation, I worked with a team of educators and designers to create You Are the Historian: Investigating the First Thanksgiving. Did you know that the First Thanksgiving was neither a first nor a Thanksgiving? Everyone should know, and this interactive site where kids get to play history detective is a great way to start.